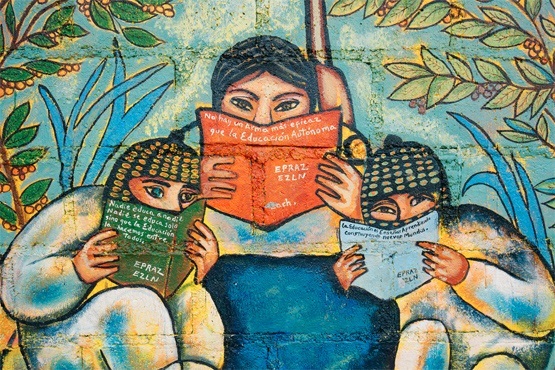 HomeNews BriefsNews BriefsWhy Are Mexican Teachers Being Jailed for Protesting Education Reform? 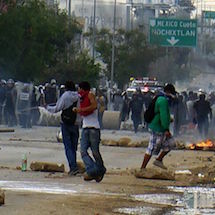 Update: On Sunday, June 19, federal police in Oaxaca fired on teachers and supporters in the Mixteca town of Nochixtlán, killing at least four and wounding 30 more. Another was killed in Hacienda Blanca, near Oaxaca City, according to the press service AIPIN, which also reported that people were refused care at the hospital in Nochixtlán. The federal government continues to refuse to talk with the CNTE. On Sunday night, June 12, as Ruben Nuñez, head of Oaxaca’s teachers union, was leaving a meeting in Mexico City, his car was overtaken and stopped by several large king-cab pickup trucks. Heavily armed men in civilian clothes exited and pulled him, another teacher, and a taxi driver from their cab, and then drove them at high speed to the airport. Nuñez was immediately flown over a thousand miles north to Hermosillo, Sonora, and dumped into a high-security federal lockup. Just hours earlier, unidentified armed agents did the same thing in Oaxaca itself, taking prisoner Francisco Villalobos, the union’s second-highest officer, and flying him to the Hermosillo prison as well. Villalobos was charged with having stolen textbooks a year ago. Nuñez’s charges are still unknown.